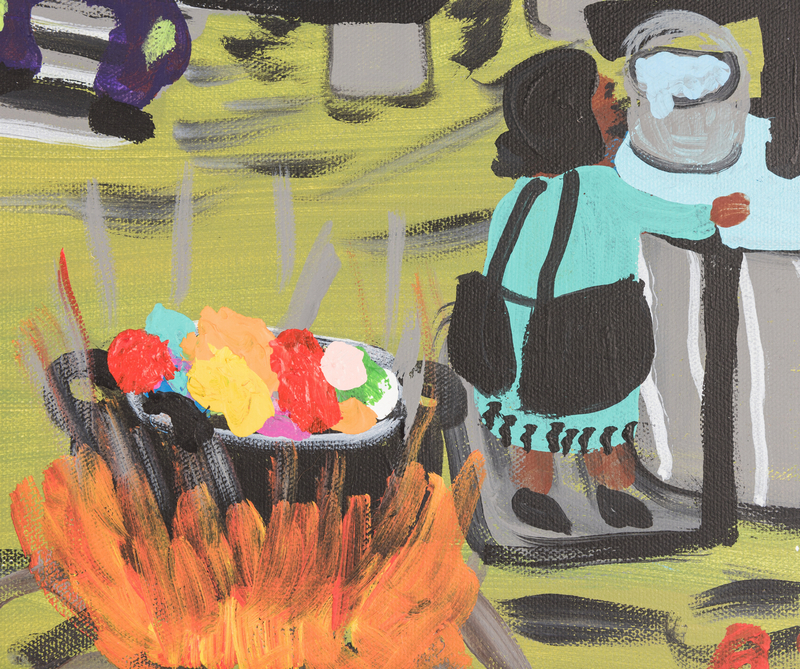 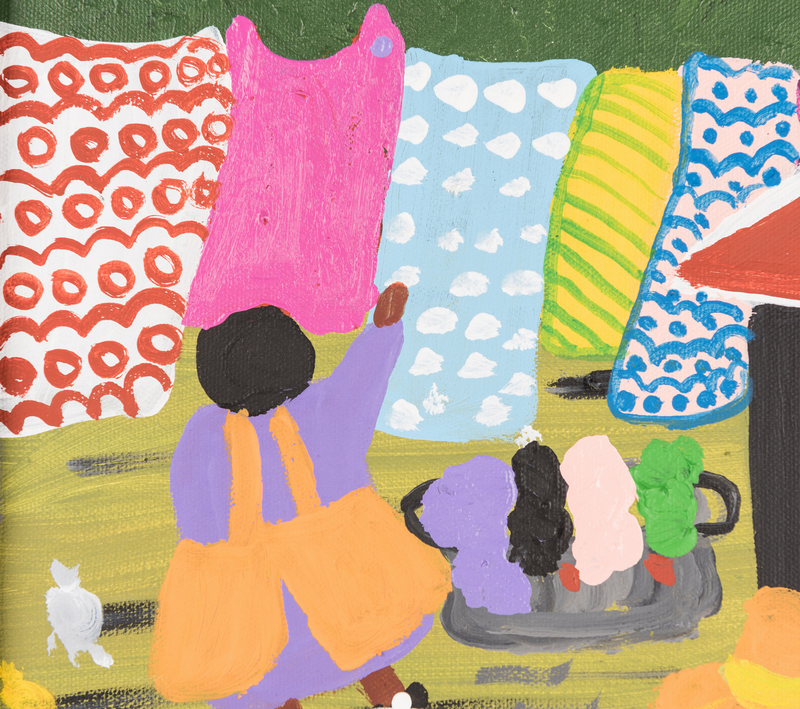 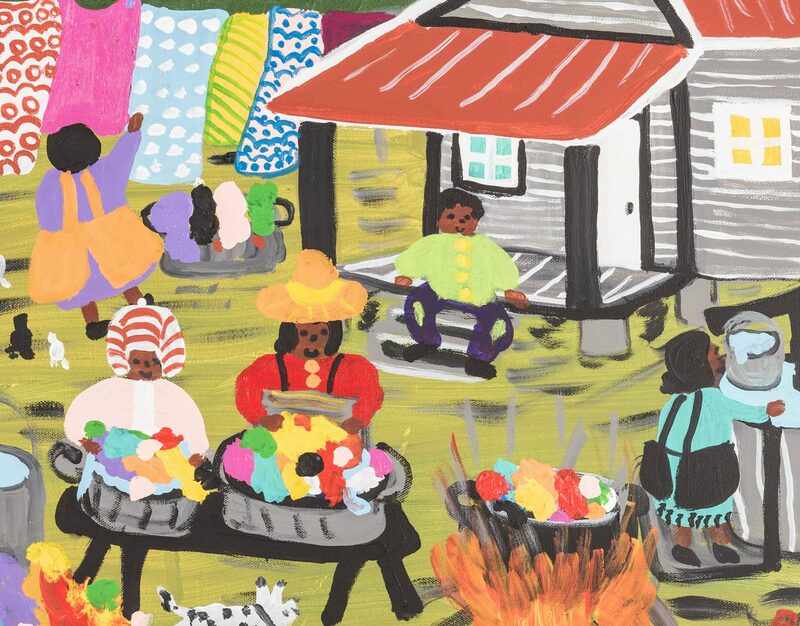 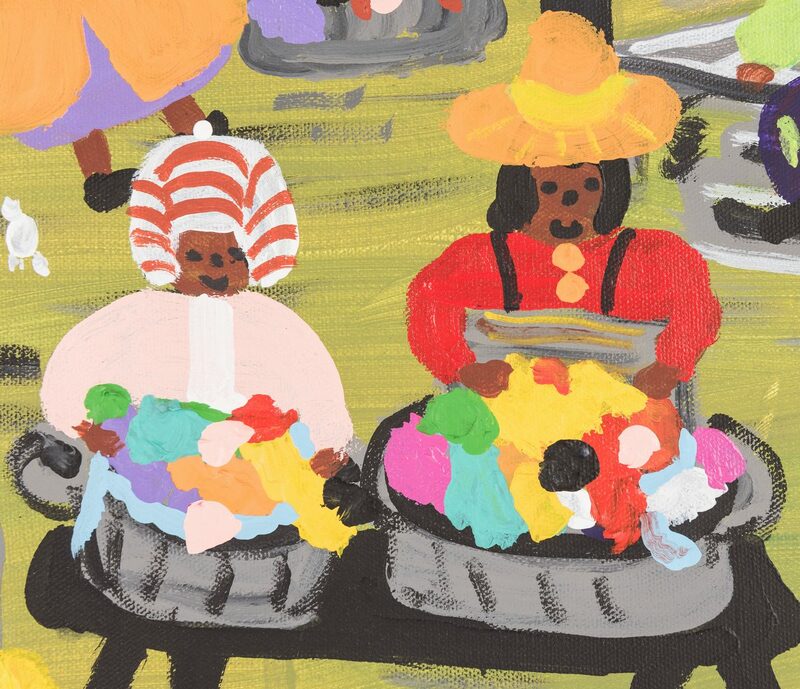 Bernice Sims (Alabama/Louisiana, 1926-2014) acrylic on canvas outsider art painting depicting several black figures washing and hanging laundry outside a cabin. 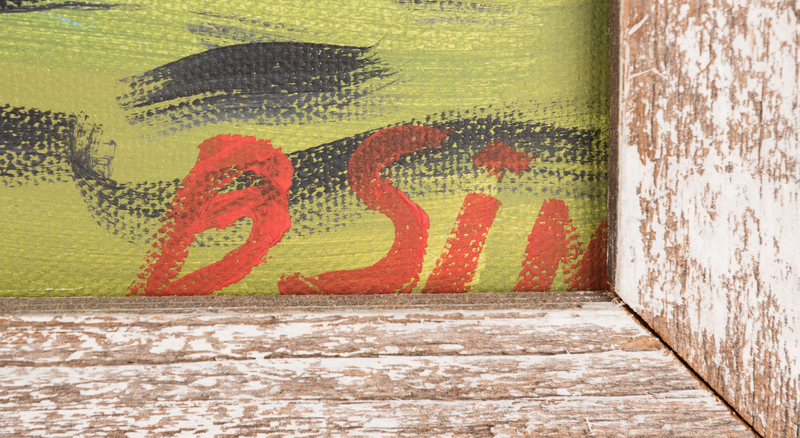 Signed lower right "B Sims". 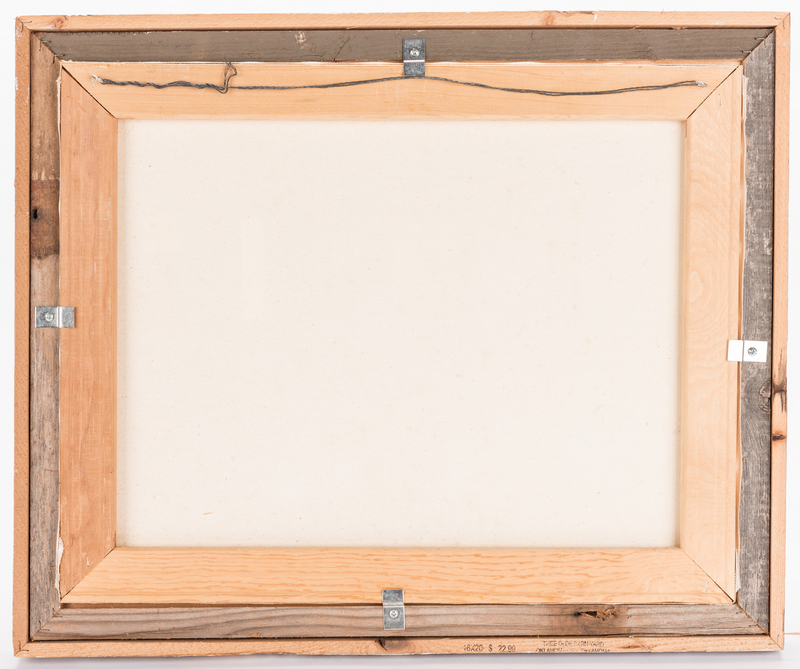 Whitewashed distressed wood frame. 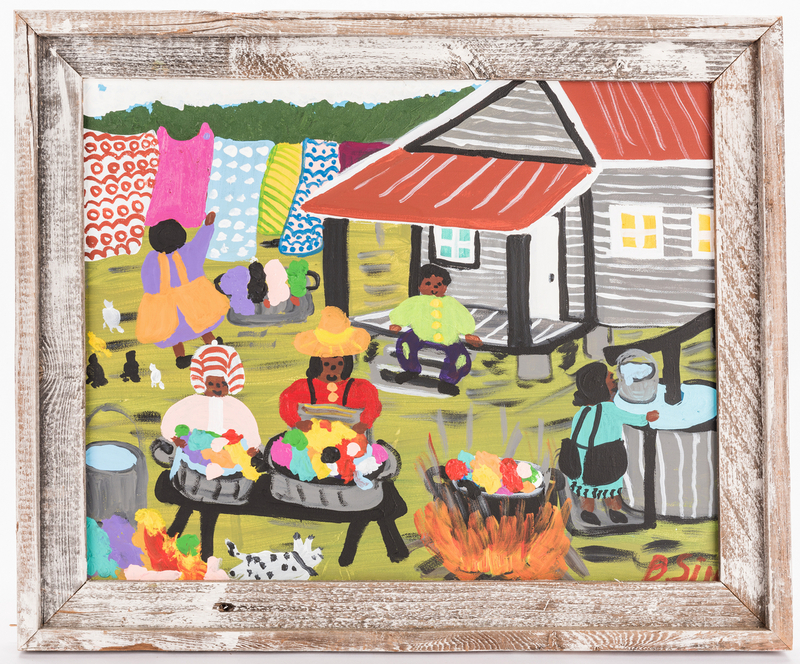 Sight – 15" H x 19" W. Framed – 19" H x 23" W. Provenance: West Tennessee estate of a folk /outsider art collector. CONDITION: 2" loss to top of frame. 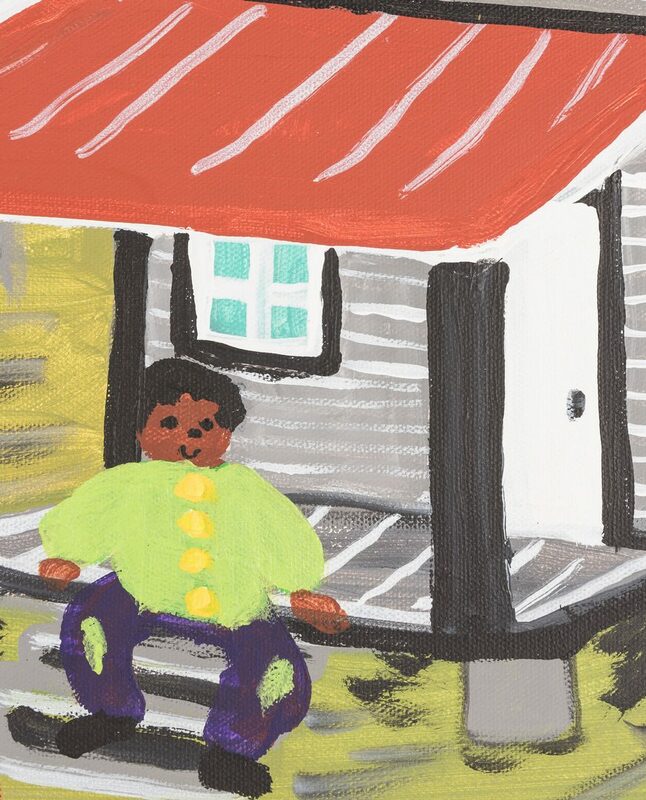 Painting in excellent condition.